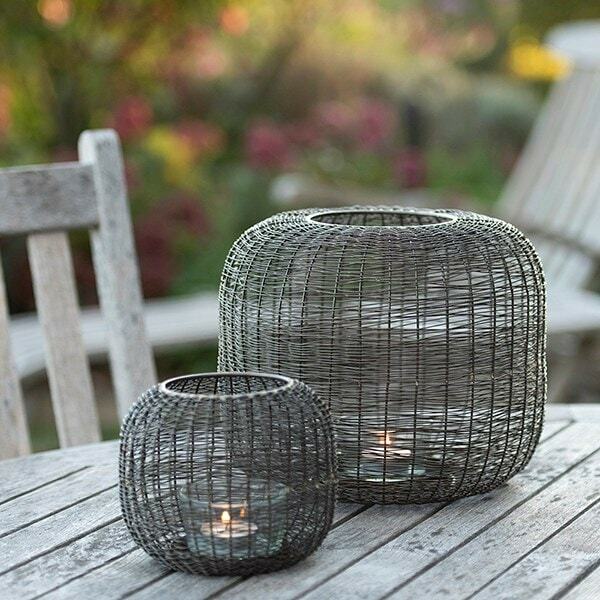 Woven beehive-style steel wire lantern finished with a clear powder coat. 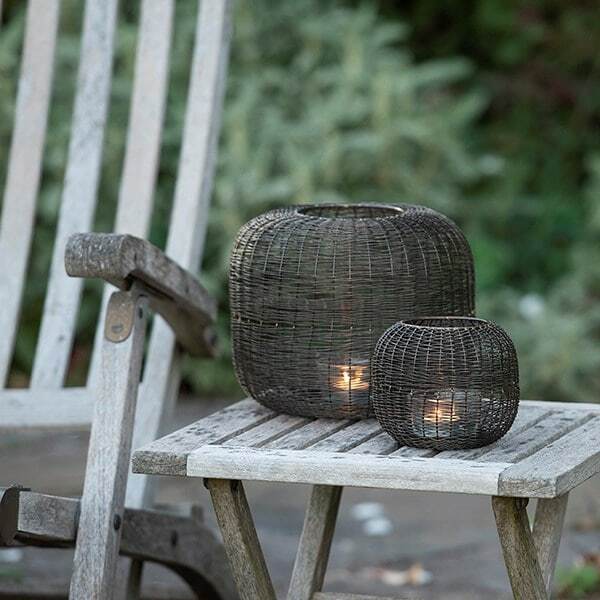 Creates a warm dappled light glow. Includes clear glass votive to shield the flame from gusty conditions. 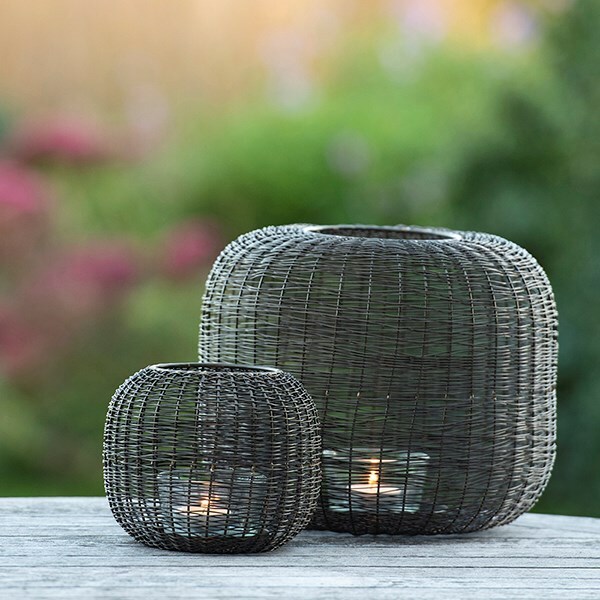 Holds one standard or large tealight candle.